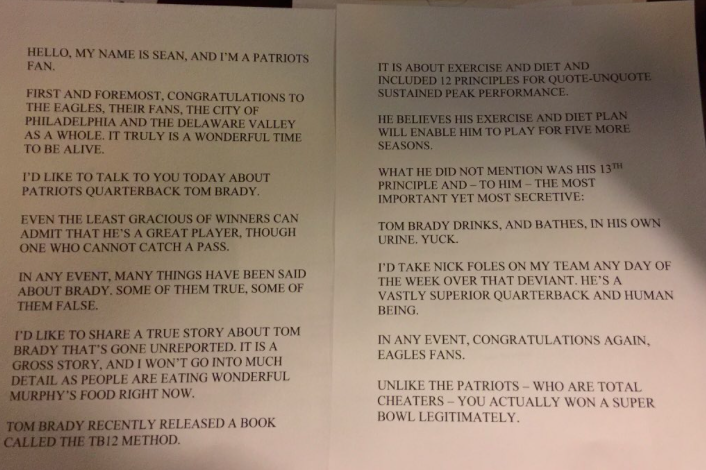 Not only did the Eagles win the Super Bowl, but I won a Super Bowl bet in which a Patriots-fan friend had to come to Quizzo at Billy Murphy’s Irish Saloonery and read a speech that I’d prepared specifically for the moment. This is not the first time something along these lines has happened. You can read it above and see it below.